The Chicago Bears should’ve won their opener on Sunday night but still weren’t able to solve the Aaron Rodgers mystery. While painful, the team seems to have already moved on to next week. Head coach Matt Nagy and quarterback Mitch Trubisky both said the team was given 24 hours to lament the loss and then forget it. They were on to Seattle. This will mark the second and last primetime game for Chicago this year. So it seems rather fitting it might be the most important of the season. The last time the Bears started a year without going at least 0-2 was 2014. They know that these slow starts have been killer for them in recent history and are trying to change the culture. Beating a still dangerous Seahawks team would show people they aren’t the same team they’ve been in the past. The question is can they do it? Seattle, while weaker than they were five years ago, still know how to win. The Bears haven’t beaten them since their playoff meeting back in 2010. Could this finally be the time things turn around? The experts seem to think so. Elliot Harrison of the NFL Network saw what everyone else did on Sunday night. However, he didn’t take away a feeling of doom and gloom like some. 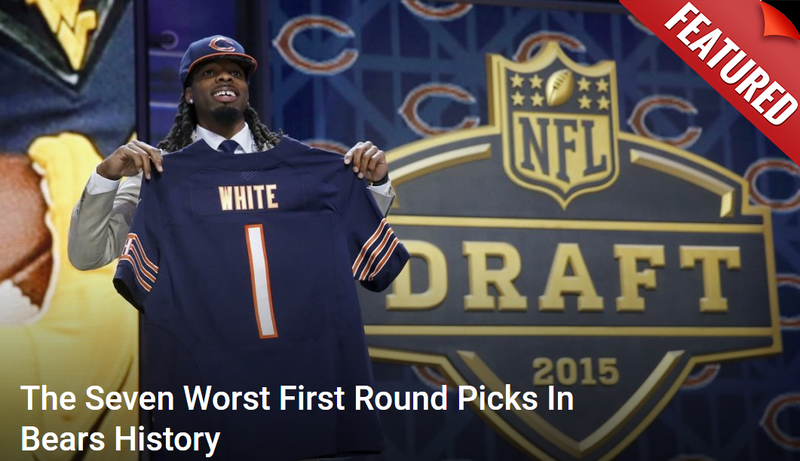 Instead he saw a young Bears team that showed flashes of what it could be. The talent is now there. All they have to do is find their groove. That’s why he picked Chicago to rebound with a 27-24 victory over the Seahawks. “Russell Wilson gets Seattle moving late, when it’s too little, too late. Despite the collapse in Lambeau, I like this Bears team. The running game is totally legit. Tarik Cohen is Darren Sproles 2.0 in the pass and run sections of this offense, while the quality O-line makes it all go. And Chicago’s defense will finish in the top seven. Book it. The question mark is Mitch Trubisky, and if you believe a tweet showing him miss a wide-open receiver is an indicator of his overall play, you’re missing the point. Windows close fast in the NFL, and he might have been playing it safe — i.e., trying not to turn the ball over. That’s normal for young QBs. A big key here is that two of the Bears’ biggest strengths, their running game, and their reinvigorated pass rush are poised to go against two big Seattle weaknesses. The Seahawks defense allowed 114 yards per game on the ground in 2017 and 146 against Denver last week. They also gave up six sacks on Russell Wilson, half of them coming from Von Miller off the right side. The same side Khalil Mack will line up against. If they pound it with Jordan Howard and force Wilson to throw, this outcome is more that possible.